The hotel features 468 accommodation units. Guests of the hotel are welcomed in the lobby, which has a 24-hour reception and a 24-hour check-out service. Amenities include a cloakroom, a safe and currency exchange facilities. Internet access and wireless internet access (no extra charge) are available in the public areas. Gastronomic options include a restaurant, a café and a bar. Shopping facilities are available. Parking facilities available to guests include a garage and a car park. Additional services include a childcare service, medical assistance, room service, a laundry and a hairdressing salon. Active guests can make use of the bicycle hire service to explore the surrounding area. In addition, a conference room, a business centre and a fax machine are also available. The hot tub offers revitalisation. A variety of leisure options are offered at the hotel, including a gym, a spa, a sauna, a beauty salon and massage treatments. A wellness area with a solarium is available. 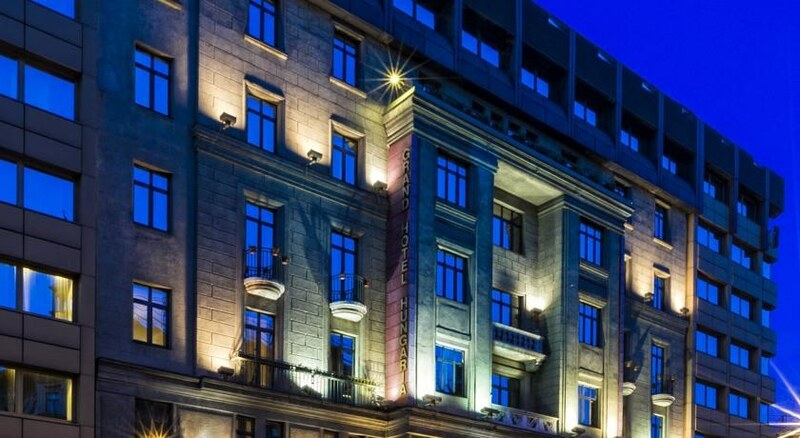 This prestigious hotel is situated at the heart of Budapest, close to Elisabeth Bridge. 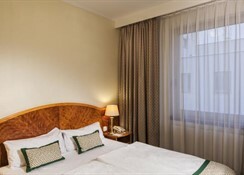 Numerous shopping facilities as well as bars and nightclubs are situated just a few paces from the hotel (100 - 700 metres). 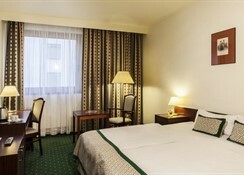 The nearest public transport links are also just a stone's throw from the hotel. 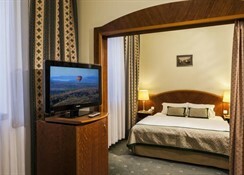 All rooms feature air conditioning, central heating and a bathroom. A safe and a minibar also feature. The accommodation units offer a range of amenities, including tea and coffee making equipment. Internet access, a telephone, a TV, a radio and wireless internet access are provided as standard. In each of the bathrooms, guests will find a shower and a hairdryer. 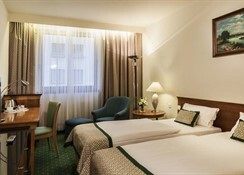 Take metro line M2 to Railway Station Keleti, or Blaha Lujza tér (square) as the hotel is situated between these two important points of communication, it is just one bus stop away from both of them with bus no 7. Bus stop toward the center is right in front of the hotel. You either can take bus 7 to reach the center, it stops at main points to start to explore the city, like Astoria or Ferenciek tere.